Thank You to All Our Players, Spectators and Supporters for Allowing us to Award Tennis Camps Scholarships and College Scholarships, to deserving junior tennis players in Houston & Pasadena, Texas. The Darren Lajaunie Tennis Scholarship Fund (DLTSF) was set up after the passing of Darren Lajaunie in May 2011, from cancer, by his wife Camille and son, Andrew. Darren was an avid tennis player his whole life. He began playing at J. Frank Dobie High School, on the club level at the University of Texas, in Austin, and in many adult league tournaments until his passing in 2011. The DLTSF will continue to award college scholarships to the seniors on the J. Frank Dobie High School Tennis Team, in addition to now awarding tennis camp and college scholarships to members of the Harry Taylor Tennis Center, in Pasadena, Texas. 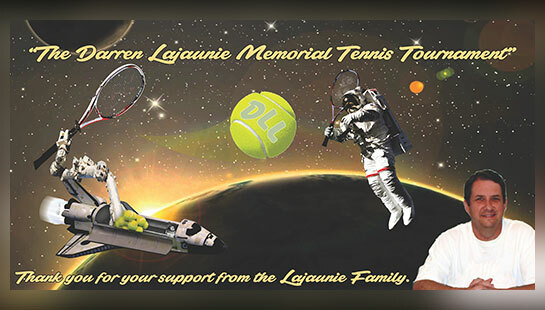 Come join us for the 8th Annual Darren Lajaunie Memorial Tennis Tournament April, 26-28th, 2019. 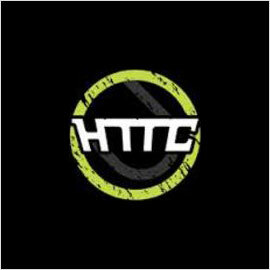 We'll kick off the weekend once again at the Harry Taylor Tennis Center (HTTC) in Pasadena, Texas, on Friday evening (4/26) with dinner where the HTTC scholarships will be awarded and mark the opening of our silent auction. The tournament will begin on Saturday morning and continue through Sunday where we'll all enjoy snacks, drinks and surprises complimentary of our sponsors, not to mention lots of great tennis for all levels of play. Dust off your tennis rackets and start practicing for this Charity Tennis Tournament! Dinner Tickets are now on sale at Harry Taylor Tennis Center or by calling the DL Tennis Scholarship Office at 281-480-6933. Tickets are available the night of the dinner and there are only 200 tickets for the Fajita dinner. Adult Tickets are $15 and children 10 and under are $10. After the scholarship awards are presented there will be a raffle for some great prizes! Dinner begins serving at 6:30pm followed by the scholarship presentation and raffle. Don't delay and purchase your tickets now!!!! 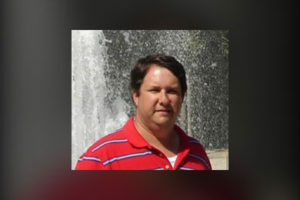 Darren was a devoted family man, dedicated engineer for Lockheed Martin at the Johnson Space Center with a compelling passion for the game of tennis. Darren began his tennis career playing tennis at J. Frank Dobie High School where he graduated Co-Valedictorian in 1984. At the University of Texas Tennis Club in Austin, where he graduated with a degree in Electrical Engineering in 1988, Darren won the 1988 Spring Open Champion Men’s “B” Singles title. At a local Houston tennis club, Darren was the Men’s 3.5 Singles Champion July 2010, and Men’s 4.0 Singles Champion in August, 2010. In September at a local Houston tennis club, he was a Finalist in the Men’s 4.5 Singles Championship game. 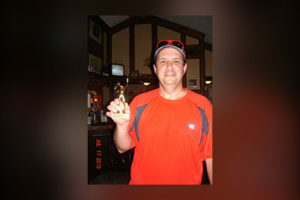 Darren was diagnosed with Melanoma in October 2009 and while enduring many clinical trials and chemo treatments continued to play tennis until his death in May 2011. Darren was the epitome of courage, dignity, strength and had the heart of a true tennis champion. Through these scholarships, we hope for Darren's legacy to live on. Please join us in remembering Darren by coming out to play in the tennis tournament or by donating to the scholarship fund. Support the Scholarship Fund at the Same TIME!!!!! The Darren Lajaunie Tennis Scholarship Fund is a proud Community Partner with Kroger. If you have a Kroger card, you can help donate to the scholarship fund simply by shopping at Kroger. Enrollment is now underway with the Kroger Community Rewards Program. Please enroll today and help donate to the scholarship fund. Kroger donates 1% of your grocery bill every time you shop. The scholarship fund receives 4 checks a year. Last year we received about $300 from Kroger. Kroger is not just in Texas, so if you have friends in other states please pass the information along. It's a great way to help donate. Every little bit helps! Thank you to all who have enrolled. 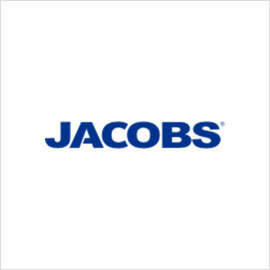 Please consider becoming a tournament sponsor! We would not be able to bring this wonderful event to Houston and Pasadena without the help of our generous sponsors and donors. This scholarship program benefits junior tennis players and honors Darren’s memory.